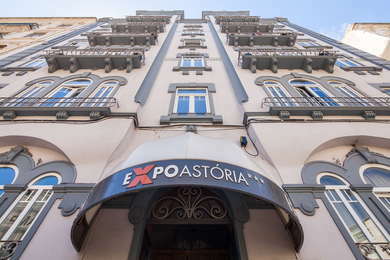 Formerly the Evidência Astoria Creative Hotel, the Expo Astoria now dubs itself 'the Art Hotel', and there's plenty of creative flair to be seen in this restored Art Deco building, which was given a top-to-toe makeover in 2015. Rooms are on the small side, but the location close to a metro station and within walking distance of downtown attractions makes it an appealing option for its price category. Service is friendly, the design is colorful and contemporary, and there's a good on-site bar and restaurant. Although not the most extensive in town, the buffet breakfast has enough hot and cold options to keep most guests happy. 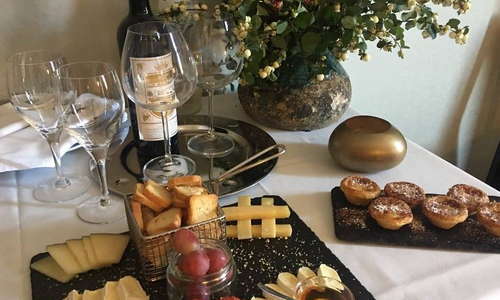 The room rate compares favorably with similar lodgings in the historic center, and it's just a short walk or cab ride to Lisbon's main attractions. 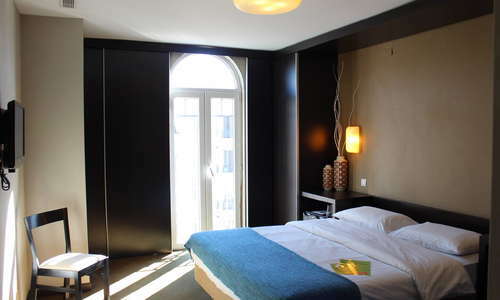 Although the decor is modern and the beds are comfortable, the rooms here are more functional than luxurious. Small and with no views to speak of (in common with many older buildings in Lisbon, some rooms look directly onto neighboring homes), they'll appeal to those looking for a good night's sleep rather than a five-star treat. 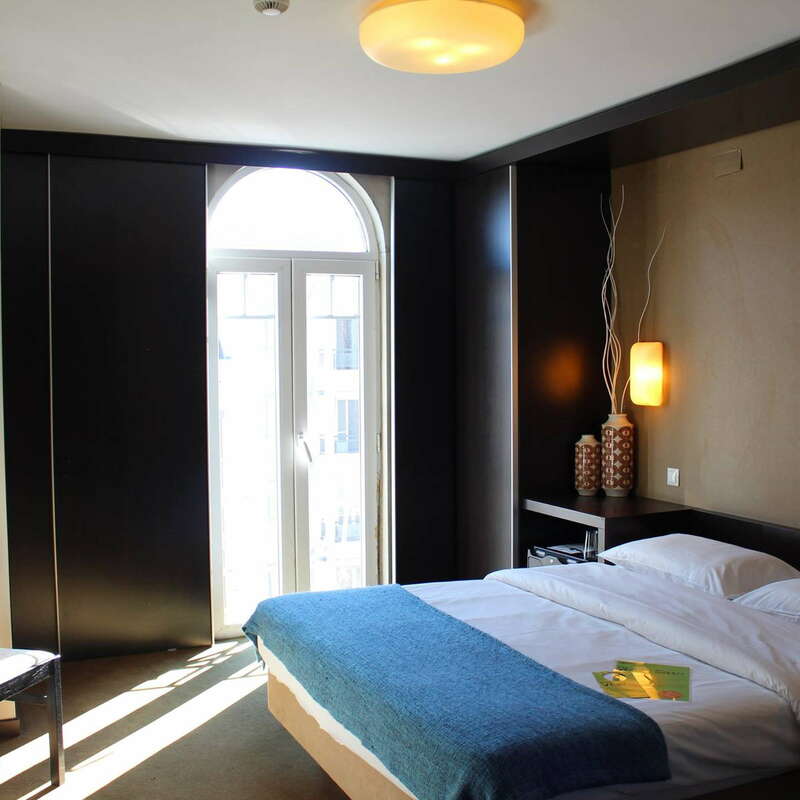 The rooms are well soundproofed, stylishly appointed, and have air conditioning and free Wi-Fi. The 113 rooms are spread over 8 floors, and some street-facing rooms have small balconies from which guests can look onto the scene below. While not large, bathrooms are modern, with powerful stand up showers, and chic Aroma de Portugal amenities. 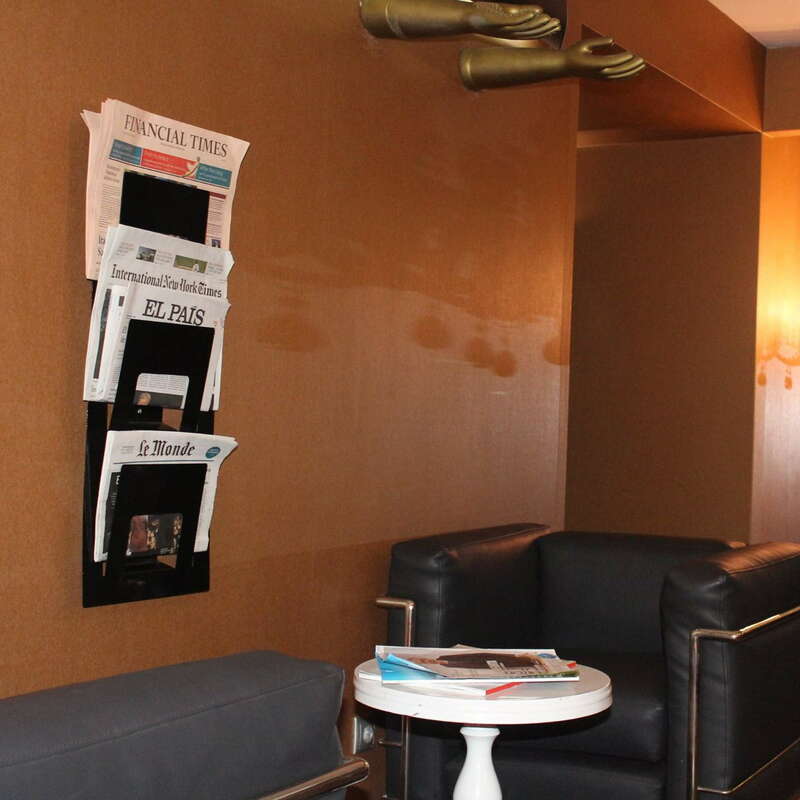 The 'Art Hotel' concept really comes into play in the hotel's lobby, which has a boutique feel with lots of one-off artworks, colorful furnishings, and artfully-positioned lamps and mirrors. There's a small but adequate fitness room at the hotel, with enough cardio equipment to keep exercise addicts happy. Massages can be arranged for an extra fee. The pretty Parque Eduardo VII is a popular running spot, and just a few minutes' walk or jog from the hotel. 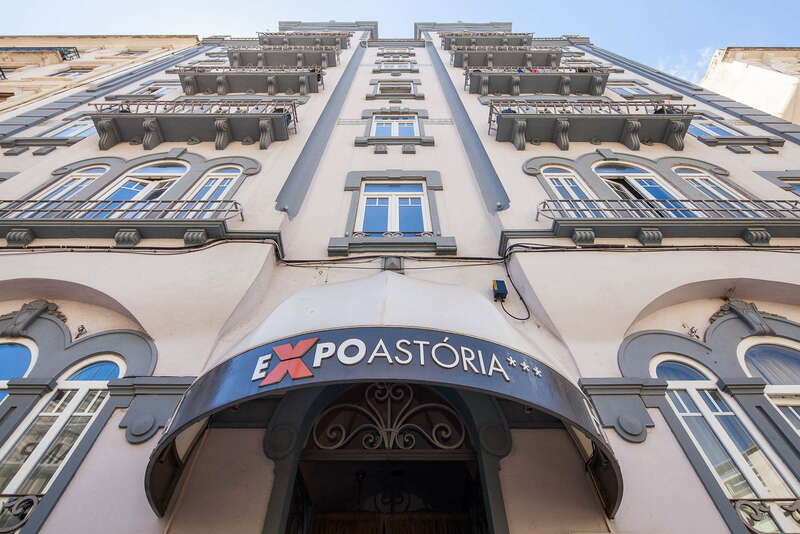 Previously known as os Camarões in honor of the shrimp that continue to have a starring role on the menu, the Astoria restaurant is a major string in the hotel's bow. Open for lunch and dinner and attracting many non-guests, it's a sleek, modern and elegant space with an excellent line in traditional Portuguese dishes. It's strong on fish, seafood and meat, but salads and a couple of rice and pasta dishes offer sustenance for vegetarians. 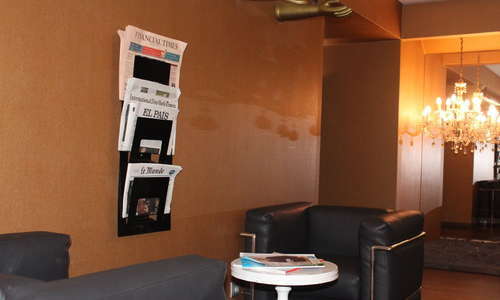 The hotel's lounge bar has a trendy vibe and offers drinks and small plates that are very reasonably by hotel standards. Particularly noteworthy are the early evening Happy Hour options, which include wines, cocktails and spirits at extremely wallet-friendly prices. Happy hour ends at 8 p.m., which makes the bar a good place to start a night out in Lisbon. The hotel has limited parking options, but with a metro very close by it's easy to see the city on foot and by public transport. Hop on-hop-off sightseeing buses also stop very close by. Marquês de Pombal metro station (blue line) is just a minutes' walk from the hotel, and has connections to the airport (red line) as well as direct, fast route to Rossio and down to the waterfront at Terreiro do Paço. 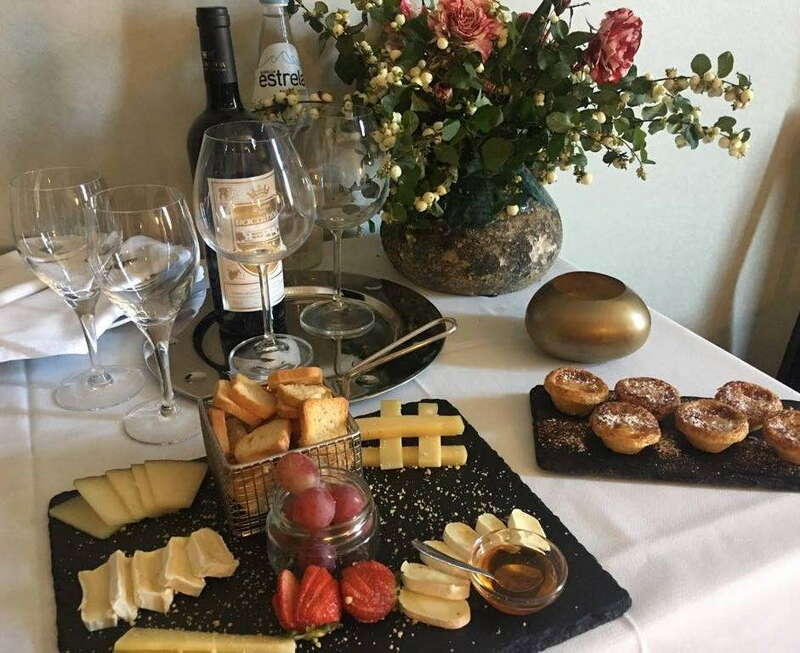 Alternatively, a 15-20-minute stroll along Avenida da Liberdade (itself a famous shopping street) to Rossio, Restauradores and other downtown attractions. Taxis and Ubers also provide relatively inexpensive options for the 8km trip to the airport. 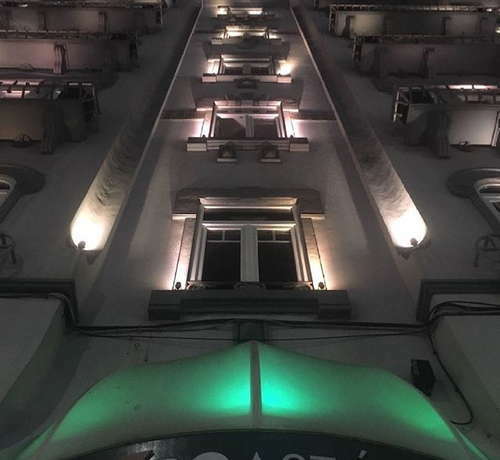 Fish and seafood lovers will be in their element in Lisbon, and one of the city's best seafood restaurants--Ribadouro (10-minute walk) is a short stroll from the hotel. This well-established marisqueira on Avenida da Liberdade serves a vast array of tiger prawns, lobsters, crabs and a great many other sea-dwelling creatures that you may well never have heard of before. For those with a hankering for meat, Fogo de Chão (10-minute walk) follows the Brazilian rodizio model, which sees smartly-clad waiters bringing endless cuts of meat to diners at their table, for an 'all you can eat' price, which includes limitless trips to the vegetarian-friendly salads-and-sides bar. Sunny Lisbon calls for al-fresco sipping, and Terraço do Marquês (5-10-minute walk) is a pleasant place to do just that, on a terrace that has great views over Lisbon. Alternatively, make your way down Avenida da Liberdade to the historic center, stopping at one of the outdoor drinks kiosks along the way. Quiosque o Melhor Bolo do Chocolate do Mundo (11-minute walk) offers coffees, cocktails, and the "Best Chocolate Cake in the World," the flour-free confection that gives this place its name. Cocktails, cake, and sunshine--what more could you ask for? This is an accessibly-priced hotel in a lovely historic building, with a location that is very convenient for shopping and sightseeing. The hotel restaurant and bar are good, staff are helpful and friendly, and the design is eye-catching. Rooms, while not large or particularly luxurious, are comfortable and well-designed.